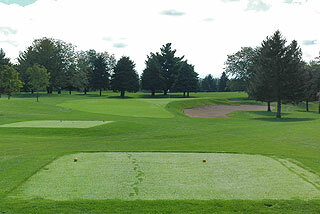 The Battleground Golf Club is the sister course to nearby Coyote Crossing, and provides golfers with a unique, high quality golf experience in the Purdue University area. 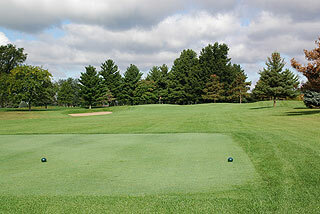 The wide tree-lined fairways that traverse some incredibly rolling terrain are well manicured, as are the sculpted tee areas and sloping putting surfaces. 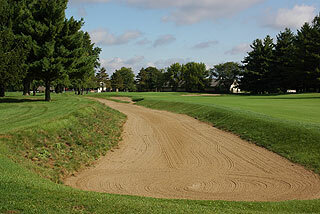 An over-riding characteristic of the Battleground is the use of exceptionally long fairway bunkers that encourage players to hit the ball straight off the tee. 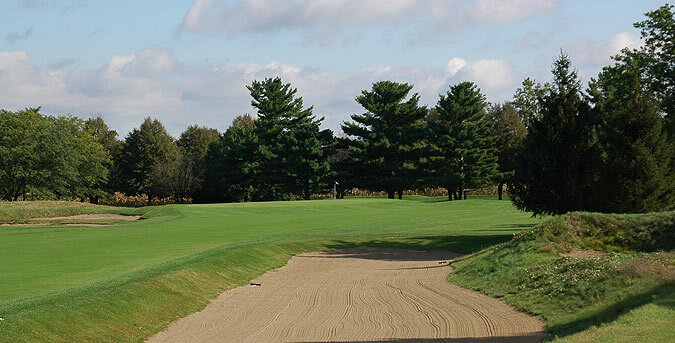 These bunkers are often lined with gnarly grasses, but if the ball makes it into the sand, golfers will most often encounter a very level lie. This is not always true on the rolling fairways that lead to greens which are small to medium in size and mild in undulation. 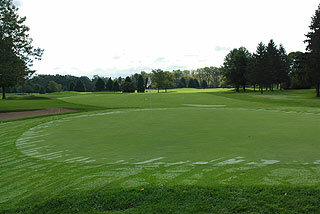 The green complexes are often raised, and approaches not reaching the target will usually find swales and collection areas which create tricky up and down situations. That being said, Battleground plays fair as the course tops out with a slope rating of 126 from the tips, which measure 6950 yards. Alternate sets play to distances and slopes measuring 6494 yards/123 slope, 6002 yards/118 slope and 5345 yards with a slope of 118 for ladies playing from the forward sets. The landing zones are generous, providing golfers of all skill levels an opportunity to hone their game on an interesting layout. The clubhouse features a pro shop, a restaurant/lounge plus banquet/outing facilities that can accommodate 150 people, as well as locker rooms with showers for men and women. 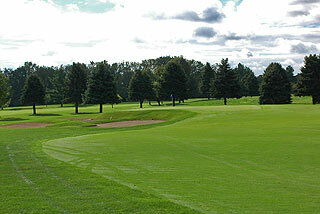 There is a targeted grass range, short game area with sand bunker, plus large putting green on property. 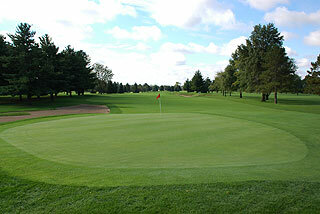 An outdoor patio provides nice golf course views and presents a pleasant atmosphere when the weather cooperates. On course golfers will find 100, 150 and 200 yard markers on the fairways (and 250 on par fives), plus sprinkler heads that are measured to the center of the green. Color coded flags indicate front, middle and back pin placements. Laser Link GPS is also available in the pro shop, for golfers wishing to incorporate that technology. 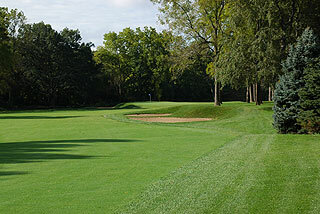 On my September visit, I found the course to be in great shape, with manicured conditioning from tee to green. 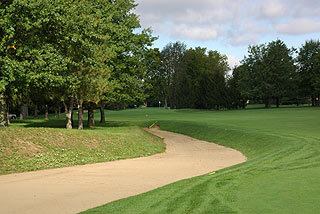 There are no cart paths, which means players can drive right to their ball (except near the green of course). Most players will have little trouble finding the fairways here - the challenge is on the approach, as accurate iron play is necessary to land on these smallish putting surfaces. The good news is that there are very few long putts... small greens and long bunkers make for an interesting round at Battleground. For more info, visit our page for the course, with direct link to their website by clicking here.